Spurs head coach Gregg Popovich always picks up the tab when he runs into his players while out to eat. 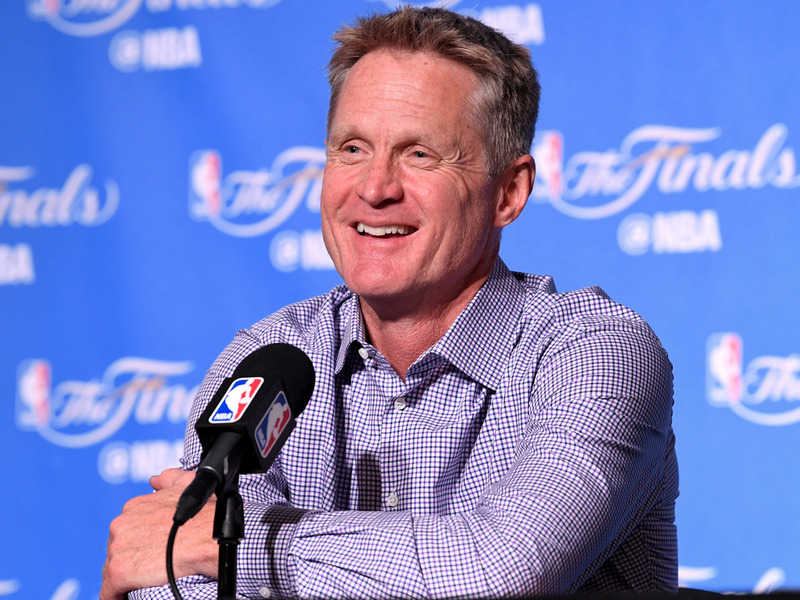 Former Spur and current Warriors head coach Steve Kerr would ask the hotel concierge where Popovich was dining and surprise him at the restaurant in hopes of scoring a free meal. Popovich and Kerr may be rivals when it comes to coaching, but they remain friendly away from the court. San Antonio Spurs head coach Gregg Popovich and Golden State Warriors head coach Steve Kerr went out to dinner together on Wednesday night, and it brought to light a funny story from when both men worked for the same organisation. It began when Kerr revealed that Popovich pays for his players’ meals whenever he bumps into them at a restaurant, a policy that dates back to his first years in the NBA. Kerr played for Popovich from 1998 through 2003, earning a pair of championship rings along the way. While generous, that rule seems like it could be easily abused by hungry players, and sure enough, Kerr told a great story from his playing days. It just goes to show that no good deed goes unpunished, not even for NBA head coaches. Popovich has a sense of humour, so he probably didn’t mind having to pay for the extra meals, but that didn’t stop him from retorting with a funny story of his own. Kerr’s son, Nick Kerr, has been working as an assistant in the Spurs’ film room, and there seems to be some reverse-nepotism at play. They may be rivals when they’re on the sideline, but it’s nice to see that Kerr and Popovich, two of the most respected coaches in the league, are willing to joke around with each other once the buzzer stops. Both the Warriors and the Spurs have been slow out of the gate this season, but it wouldn’t be a surprise to see them face off in another playoff series — and if that happens, we know who will be picking up the check at dinner.